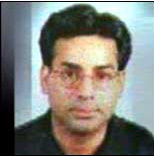 MUMBAI: A special court Thursday postponed its verdict on the 1993 serial bomb blasts case till Sep 12. Ninety-four of the accused are on bail while 29 in custody had been summoned to the court for the judgment. The ruling comes more than 13 years after March 13, 1993 when a series of 13 explosions ripped through the city, killing 257 people and injuring 713. Court proceedings began Thursday morning with the designated judge of the TADA court P.D. Kode saying that he would commence delivery of the judgment. Defence lawyer Farhana Shah, however, objected, saying that Abu Salem had moved the High Court, challenging the order of the TADA court separating his trial from the other accused. However, Special Public Prosecutor Ujjwal Nikam countered the argument, pointing out that since the High Court had not granted any stay on the matter, the court was free to proceed with the delivery of judgment. The judge said he would pronounce the final verdict in the case on September 12. The 1993 Mumbai bombings were a series of 13 bomb explosions that took place in Mumbai (Bombay), India on March 12, 1993. The attacks were the most destructive and coordinated bomb explosions in the country's history. The attacks are widely believed to be the retaliation by the underworld for Babri Mosque demolition in December, 1992. In December 1992 and January 1993 there was widespread rioting in Mumbai following the destruction of the Babri Mosque in Ayodhya by Hindu groups led by the RSS. Between January 1 and 5, the city witnessed a series of riots in which 1,788 (official figures) people, mostly Muslims, lost their lives. 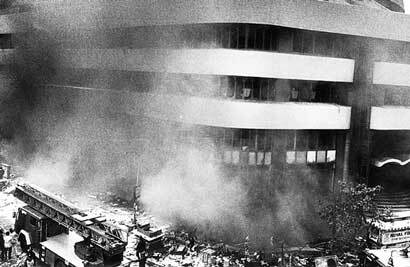 At 1:30 p.m. a powerful car bomb exploded in the basement of the Bombay Stock Exchange building. The 28-story office building housing the exchange was severely damaged, and many nearby office buildings also suffered some damage. About 50 were killed by this explosion. About 30 minutes later, another car bomb exploded elsewhere in the city, and from 1:30 p.m. to 3:40 p.m. a total of 13 bombs exploded throughout Bombay. Most of the bombs were car bombs, but some were in scooters. Three hotels, the Hotel Sea Rock, Hotel Juhu Centaur, and Hotel Airport Centaur, were targeted by suitcase bombs left in rooms booked by the perpetrators. Banks, the regional passport office, hotels, an airline office (the Air India Building), and a major shopping complex were also hit. Bombs exploded at Zaveri Bazar, Century Bazar, Katha Bazar, Shiv Sena Bhawan, and Plaza Theatre. 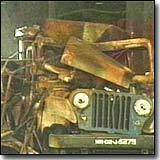 A jeep-bomb at the Century Bazar exploded early, thwarting another attack. Grenades were also thrown at Sahar International Airport and at Fishermen's Colony, apparently targeting Hindus at the latter. A double decker bus was very badly damaged in one of the explosions and that single incident accounted for the greatest loss of life - perhaps up to ninety people were killed. More than ten years later, on August 25, 2003, two large bombs left in taxis exploded in south Mumbai - the Gateway of India and Zaveri Bazaar in the busy Kalbadevi area - killing 52 people and wounding more than a hundred others. India blamed two Islamic militant groups, Jaish-e-Mohammed or Lashkar-e-Toiba, for the attacks. This is believed by some to be a response for the 2002 Gujarat riots, which left more than 2,000 dead, mainly Muslims.